RENO, Nev. (AP) – Another big snow storm with dangerous winds gusting in excess of 130 mph (209 kph) over the top of the Sierra is barreling down on the Lake Tahoe area. 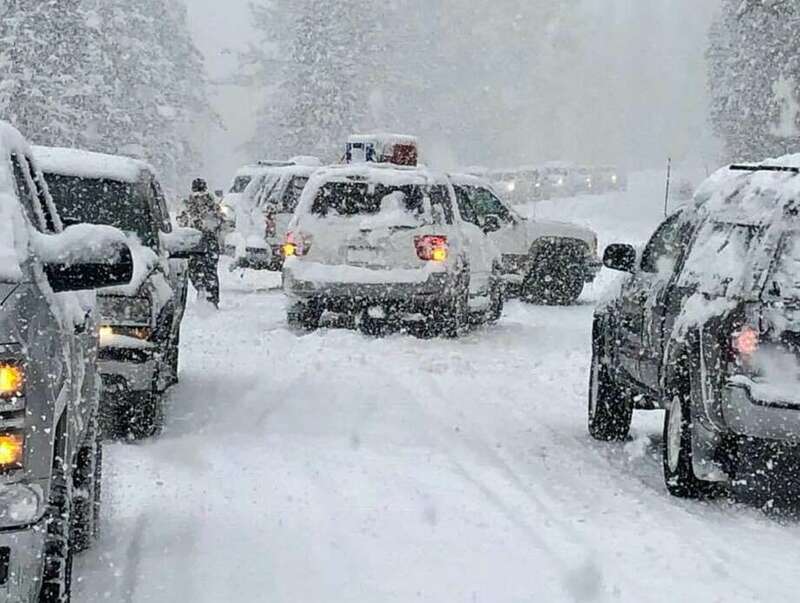 A winter storm warning is in effect until 10 p.m. Thursday for the Tahoe area, where more than 2 feet (61 centimeters) of snow is possible in the highest elevations. As much of 5 feet (1.5 meters) of snow is forecast at Mammoth Lakes along the California-Nevada line 100 miles (160 kilometers) south of Tahoe. The National Weather Service recorded winds gusting to 132 mph (213 kph) late Tuesday and early Wednesday atop the Mount Rose ski resort southwest of Reno. The service says winds gusting in excess of 150 mph (242 kph) are possible by Thursday.